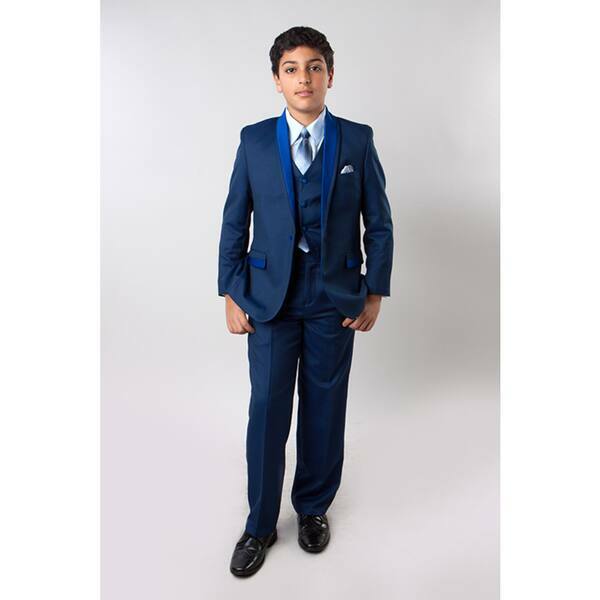 Make sure your son looks his best at your next special occasion with this five-piece suit. Featuring a matching shirt, tie, and handkerchief, this suit is an ideal choice for graduations, weddings, and other formal events. "Does this 5 piece suit include the vest?" Yes, the vest is included with this suit. It consists of the pants, jacket, vest, shirt and tie.